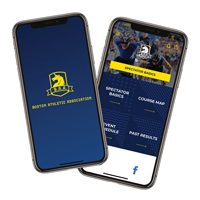 Features live tracking of all participants (without using their phones), social media integration, interactive course maps, selfies and all information you need to know about the B.A.A. and Boston Marathon. Select from your mobile device below, and download the app today! *This app may use your location even when it isn't open, which can decrease device battery life.